The Besson BE982-1-0 / BE982-2-0 Sovereign 4 Valve Compensating EEb Tuba has been a favorite of British Brass Band musicians for many years. 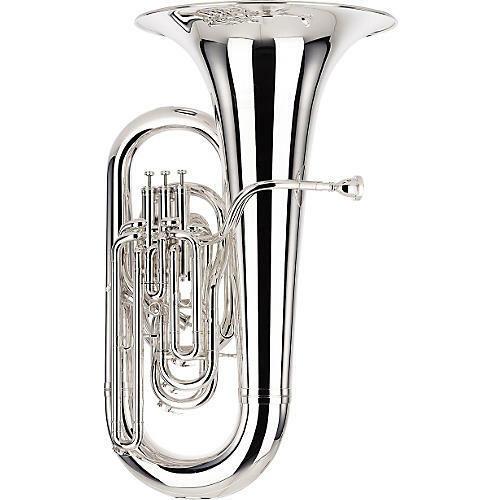 The Besson 982 Sovereign EEb Tuba features a compensating 4 top action valve design to bring the lower register in tune plus a high position mouthpipe for the marching band and is fitted with carriage rings and a lyre holder for comfort and convenience. The Besson Sovereign 982 EEb Tuba mouthpipe is slightly narrower, to produce a brighter, clear tone. The Besson BE982 Sovereign EEb Tuba includes a case and mouthpiece.